Adopt a Heritage: Who Will Save the Everest Estate in India? 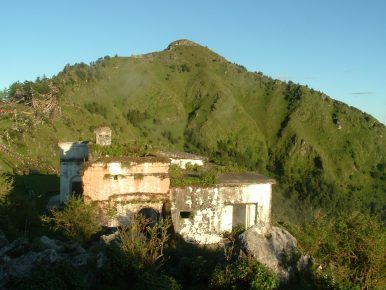 George Everest’s mansion is decrepit and New Delhi wants a private company to adopt it. These words were written by Andrew Scott Waugh, the surveyor general of India, in 1856. At that time Waugh was responsible for the Great Trigonometrical Survey, an ambitious, century-long scientific survey that triangulated the territory of India south to north and west to east. This elaborate measurement bore various fruit, one of which was the establishing the height of some of the Himalayan peaks. When after much deliberation it was finally confirmed by Waugh and his team that “Peak XI,” as they called it, was the tallest mountain in the world, Waugh suggested to name it after his predecessor and former boss. Everest had appointed Waugh and had supervised much of the trigonometrical survey before him. This immense initiative was described in John Keay’s book, which is quoted above. It was a fascinating project during which the triangulating team had to face not only the difficulties of the terrain and the climate, but the equally difficult character of Everest. “Given half a chance, jungle mishaps would have put paid to science, personal vendettas would have obliterated the politics, and the tigers would have made off with the narrative,” sums up Keay. Apart from its huge academic value, the triangulation effort had many aspects of colonial pride and superiority to it: A belief that science will triumph, an obsession with mapping and measuring (also as tools of strengthening the British rule), a disregard to local culture and identity (who cares what the locals call this mountain?) and ultimate victory through writing history, by putting a British official’s name on the world’s tallest peak. I do not think any of this, however, would justify not taking care of Everest’s former property. George Everest’s mansion still stands in India, above and outside of Mussoorie, a touristy town in the mountainous state of Uttarakhand. It used to be called Park Estate and Everest is believed to have lived there from 1832 to 1843. The remains of this residence have been recently put on the lists of heritage sites which can be adopted by private companies. The government of India’s “Adopt a Heritage” scheme is controversial. While I think the project should be given a chance, many in India disagree. Some are appalled at the prospects of national heritage being taken care of by private entities. Several well-known heritage sites have already been adopted but Everest Estate has not and I think this may be more difficult. In case of many other historic places, the plan is for the private companies to improve management and upgrade facilities and in turn these companies get an opportunity to promote themselves. The companies, we are told, will not own the sites and will not run all operations. All of this will be a Himalayan challenge when it comes to the Everest Estate. It’s not in Mussoorie, however, but on the ridge over the city, a few kilometers of walking through the mountain forest. And it is not a major tourist attraction. 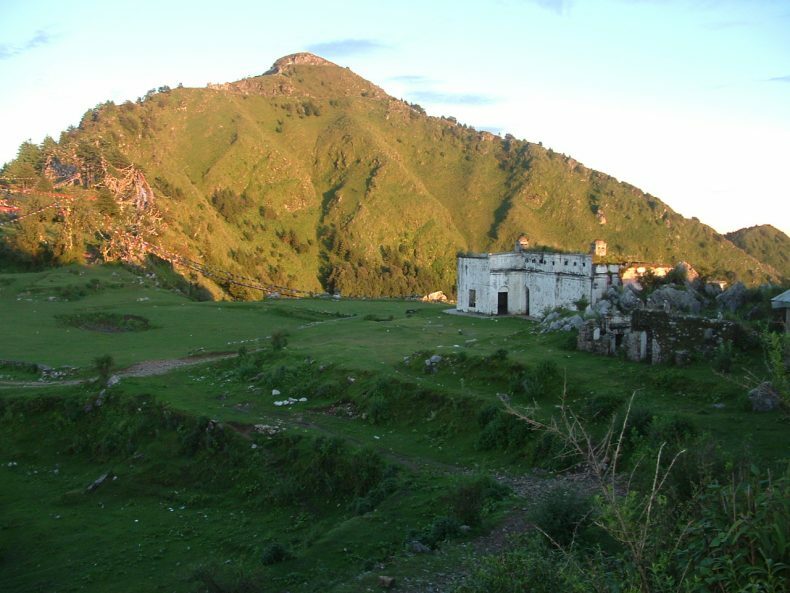 In 2011, when I visited, I did not encounter anyone on my stroll, save for a few hutments and two local inhabitants who informed me with sadness that tourists find no interest in trekking these paths and visiting the estate. From the ridge, the view of the mountains and the valleys around was spectacular, but I was the lone traveler to cherish it on that evening. That was eight years ago, but what I find in Indian newspapers confirms that while certain changes have been made, they were not large-scale or significant. The authorities have been criticized by the media for not dealing with these sorry conditions. Do not believe the photograph that is attached to the Adopt a Heritage project list. The mansion and other buildings are deserted and decrepit. Goats graze on the grass around them and large groups of monkeys reign over the trees. The Everest Estate, as it was in 2011. Photo by Krzysztof Iwanek. In this case, it is not about providing better management for a tourist site. It is about providing any management – any that can preserve it from further decay. I also frankly do not see much scope to earn a considerable profit from it. If a private company should take care of the Everest Estate, it should do it not as an investment but as charity work to save the heritage. The height of Mt. Everest was not established by George Everest but the scientific importance of his (and others) Trigonometrical Survey is doubtless. Ideally, his former property should become a small museum devoted either to that survey or research on the Himalayas. And if the assistance from Indian private entities will not be enough (or will not materialize at all), I have a suggestion: It is the British government which should pay for the estate’s restoration. Lest we forget: Colonial rule siphoned off an immense amount of funds and resources from India. In a way, the Indian taxpayers have paid already for the Trigonometrical Survey. Now the United Kingdom should bear the burden of preserving its memory.